When qualifying for a home loan, lenders focus on five main areas of the application. Although each lender may have its own preferences, they all have very clear written guidelines as to what they will and will not accept in these areas. The five main qualifying factors are Credit, Income, Employment, Savings History/Reserves and Collateral. While the borrower's credit score is of primary concern, the actual events that show on the credit report are also considered. The guidelines will generally require a borrower to wait up to four years after a bankruptcy, foreclosure or short sale. Combined with the credit score, actual account payment histories and public records will be reviewed.to make sure they meet the published guidelines. Verifying Documentation: a tri-merged credit report ordered by the lender showing historical account payment information, from Experian, Transunion and Equifax. Each applicant's gross monthly income is determined. Total monthly expenses will be calculated as a percentage of their gross monthly income. This ratio is called the debt-to-income ratio. Current pay stubs and the last two years of W2 forms or tax returns are used to calculate gross income. The borrower's new proposed monthly housing expense (including principal and interest payment, real esate taxes and homeowner's insurance) will be calculated and divided by their gross monthly income to determine the top ratio. The bottom or total debt-to-income ratio is the housing expense plus all other monthly recurring expenses divided by the gross monthly income. The lender will also attempt to determine the stability and likelihood of continuance of the borrower's monthly income. The stability and the debt-to-income ratio are used to assess the borrower's ability to repay the loan. Verifying Documentation: pay stubs, W2 forms from the employer or tax returns. Stated programs do not require veriying documentation. Stability is the key here. Generally, a two year history in the same line of work is required. There are some "make sense" exceptions on this. Since small businesses often fail, self-employed borrowers are burdened with more proof of employment than employed borrowers. Verifying Documentation: writtten or verbal verification completed by the employer for employed borrowers. Proof that the business exist for self-employed borrowers. 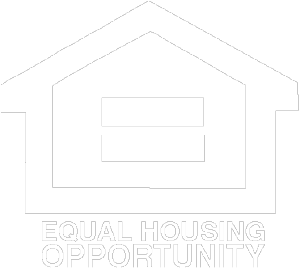 Any down payment or reserves needed to qualify must be documented and verified. Lenders want to see that the money is actually coming from the borrower and not being borrowed. The ability to save also demonstrates that the borrower has historically managed their money wisely by saving and spending less than they are earning. Verifying Documentation: account statements (for the most recent two months) for all assets on the application. This is the property that the loan will be placed on. Lenders will order an appraisal report from a neutral third party appraisal company. The appraiser will perform a physical inspection of the property and determine its current fair market value. If an appliction meets the lender's guidelines in these five areas, the loan will be approved. For applicants that do not meet the requirements in one or two of these areas, they should consider alternative loan programs. Our programs have flexible guidelines and can accommodate borrowers who have issues with credit, income, employment and savings history. Brian and his team have been funding real estate loans for over 25 years. Since 1991, they have funded over 1.5 Billion Dollars in loans.